Lush H'Suan Wen Hua - I haven't the faintest idea how to pronounce that name! Thankfully, the Lush store I go to isn't very huge, and I can usually spot a tub of this hair treatment quite easily. I amn't sure what I would do if I have to ask an SA to grab this for me. 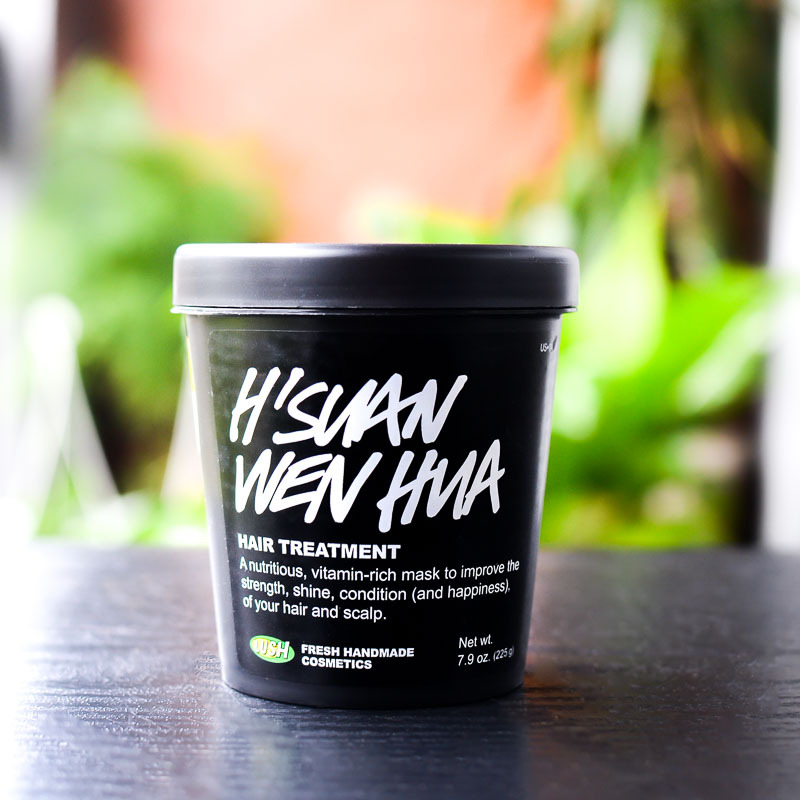 Naming issues aside, Lush H'Suan Wen Hua is one of my favorite haircare products. If you are unfamiliar with Lush hair treatments, these are usually applied to hair prewash, left in for a bit, and then washed out. For my wavy, frizz-prone, dry hair, I rotate between two of Lush's hair treatments - this one and the Lush Jasmine and Henna Fluff-Eaze (which I would recommend as a moisture boost for dry, damaged hair). Filled with protein-rich eggs, moisturizing ingredients like banana and avocado, and shine-enhancing balsamic vinegar, Lush H'Suan Wen Hua restores dry, dull hair and leaves it feeling (and looking) healthy and shiny. This hair treatment also has rosemary oil and bay leaf infusion that helps revitalize tired scalp. Scroll on for more. This is a thick, creamy product with a strong spicy smell to it. A lot of people seem to love this fragrance, but I fall into the category that doesn't like it so much. I am quite tolerant of many of Lush's heavily scented products, but this fragrance really is a little too strong. 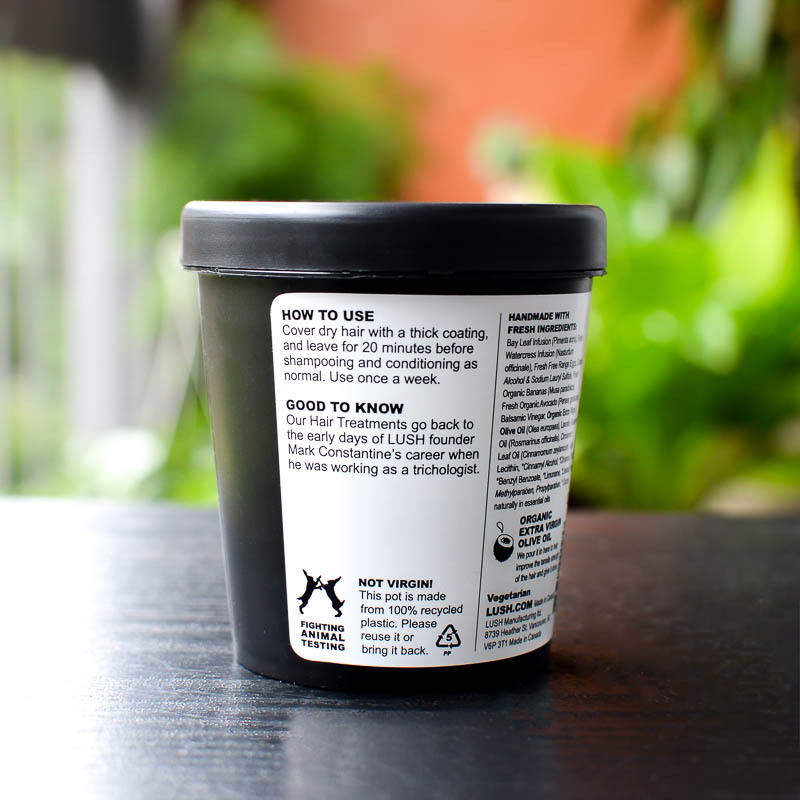 To use, scoop out a generous amount of product and apply to dry hair, from roots to ends. Leave for 20 minutes (I usually leave it on longer), then wash off and follow with your regular shampoo-conditioner routine. The hair treatment feels a bit soapy as it washes off, which helps with removing the dried product from hair. 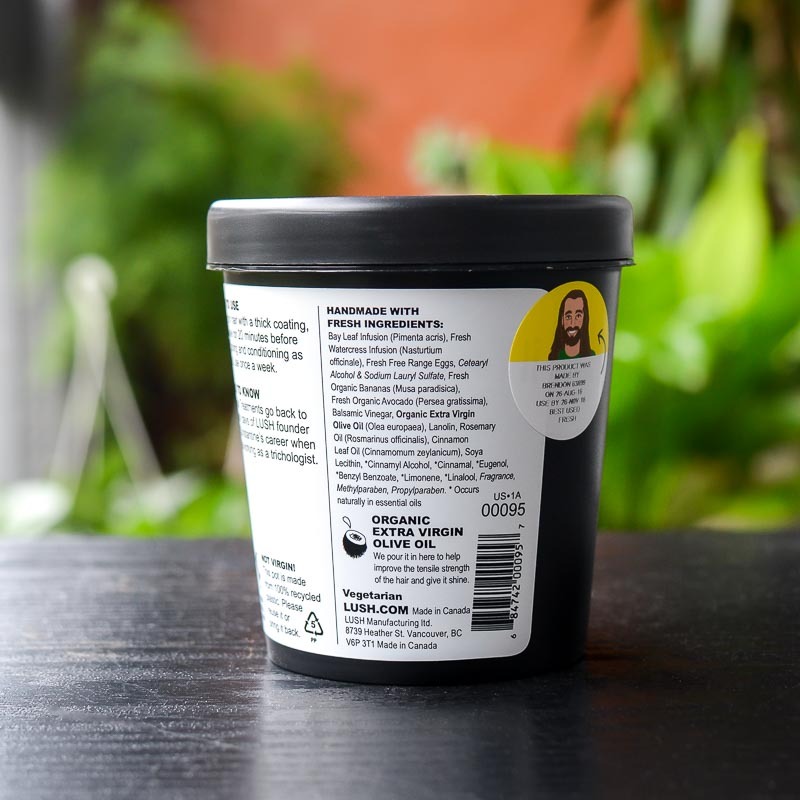 As for results, Lush H'Suan Wen Hua leaves my hair feeling soft and so shiny, and I think it does a great job of getting rid of any product build-up/residue from my hair. My hair feels healthy and soft after every use. I color my hair quite regularly, and while I love how shiny my hair looks with using this hair treatment mask, I do think it might cause some amount of color stripping. I haven't had this issue, but I do not use this mask on freshly colored hair. 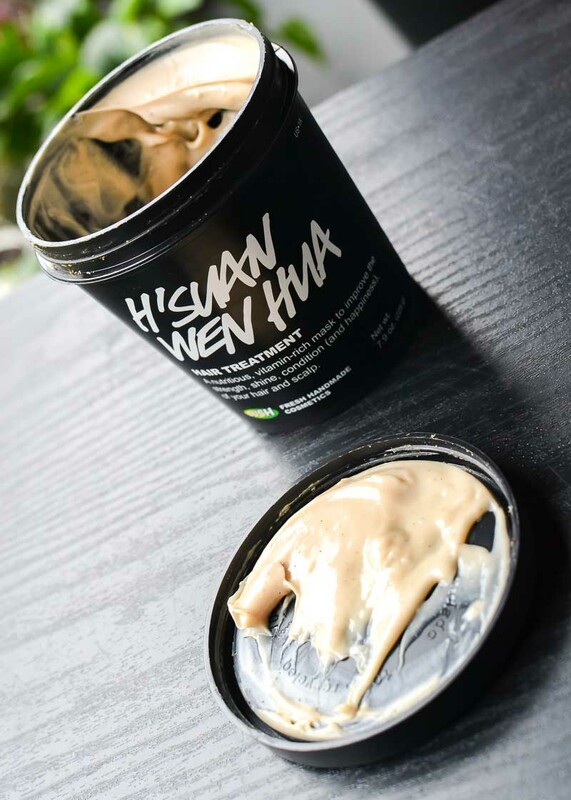 If your hair has been looking dull and dry or if you are looking for something to get rid of product build-up while adding a healthy shine to your hair, then do give Lush H'Suan Wen Hua a try.